Visitors can explore the Smith Mill Works property and greenhouses and see where many Appalachian Grown certified farms produce their vegetables and plant starts. Specialty produce grower in Asheville, NC growing 365 days a year. Microgreens, sunflower shoots, edible flowers, lettuce. Retail & Wholesale. Wholesale Delivery. Products available online for shipping or pick up. We pride ourselves in being the “Specialty Grower and Supplier for Chefs”. We use the best of hydroponics, aquaponics and soil-based techniques to raise edible flowers, seasonal produce and microgreens. Our quality, consistency, and customer service are what set us apart in exceeding the expectations of chefs, as well as the discriminating palate of today’s consumer. 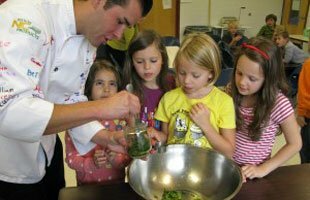 Sunburst Chef and Farmer was founded by Charles and Sally Hudson in July of 2014. With over 55 years of combined experience in the food industry, Sally and Charles truly understand the needs of chefs. Chefs have full reign at Sunburst Chef and Farmer to think creatively, and are encouraged to collaborate with us to create customizable produce. Order Online and pick up at the Farm! Find us at restaurants/retailers: Bim Berri Bon, Canyon Kitchen, Curate, Fall’s Landing, Food Matters, Green Heart Juice, Haywood Common, Hendersonville Country Club, The Library, Montford Rooftop Bar, Mountain Food Products, Never Blue, Nightbell, Old Edwards Inn, Plant, Postero, Red Ginger, Sierra Nevada Tap Room, The Times, Trillium, and Zambra. Lotus Urban Farm focuses on organic and sustainable methods of Agri, Aqua, and Apiculture. We produce aquaponic, hydroponic, and soil grown vegetables, herbs, and micro greens in addition to hive products like honey and wax. We are a small sustainable farm specializing in heirloom vegetables, micro-greens, and mushrooms. We are a family run urban farm, located in the mountains of Asheville, North Carolina. Our farm is nestled within the amazing greenhouse restoration project at Smith Mill Works. We pride ourselves on the meticulous hand cultivation it takes to grow real food and we are looking forward to continuing and furthering our education through Serious Dog Farm. We supply our local area of West Asheville and the surrounding area. Terra Lingua Growers is an Independent farm business committed to sustainable practices. 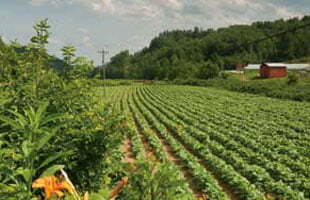 We lease farmland in Etowah as well as a greenhouse at Smith Mill Works. We sell produce at several local farmers markets, through a CSA, and to restaurants. The greenhouse features hydroponic lettuce and herbs grown using organic methods, while the farm produces a wide array of fresh vegetables with a focus on unique varieties.